Robin Graham is a travel writer living in Spain--but closer to Africa than to the next Spanish town. Robin is also a photographer, a blogger, and a social networker--but most of all a writer. A fine one. IMBO: Robin, I’ve been a fan of your writing for over a year now. The anecdotes on your blog are always entertaining and well written, and your travel articles always pique my interest. Welcome to I Must Be Off! Let's start down your road to becoming an expat, shall we? Robin Graham: My expat life began at the age of seven and in its original incarnation lasted for around six months. The ups and downs of family tragedy and recovery would mean that I celebrated my eight birthday in a Galician restaurant in Madrid, doing my best to ignore the doll that had erroneously been bought for me by my mother. Damn that language barrier. At least, I hope it was a mistake. We ended up back in Ireland when it didn't pan out but I would never be the same. 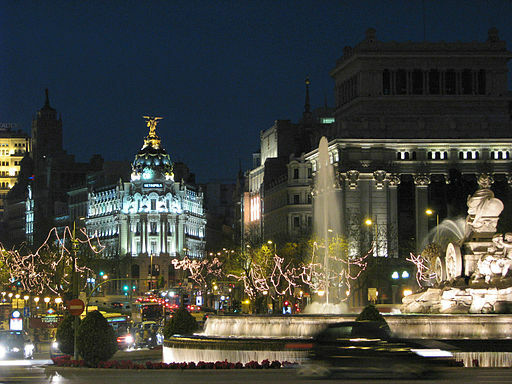 Madrid had been big city, exotic, exciting, delicious, chaotic -- all the things I have come to seek. A few short years later the family moved to the south of England where I would complete my education and endure my adolescence. In many respects I hated it but it was a formative time. The English, to generalise, make very good friends and I'm proud to say I still have some. Access to London and its record stores didn't hurt either. As soon as I was out of the educational system and at a loose end I had a decision to make: throw myself into endeavour and creativity and commitment, or sod off. So I got on a plane with a mate and we went to the Middle East and Africa. Cue more formative experiences. Eurocentric outlook blown out of the water. Once again, never the same. Our trip didn't result in the miraculous employment "of some kind" we'd been hoping for so I headed to Israel that summer and spent over a year there, mostly on a Moshav (think Kibbutz, but with wages and sans the communist ethic). Those people taught me to work. I am very grateful to them, because no one else had managed that. At the time, it was popular to pick up some seasonal work in Holland's flower export industry, so after my time in Israel I headed there. I hadn't foreseen that seasonal work could keep me going for the next five years. It's amazing what a few "coffee" shops and a constant stream of parties can do. After a few more years in England, and then a few reconnecting with family in Ireland, here we are in Spain. IMBO: Wow. So, contrary to Oscar Wilde’s wisdom, travelling actually does make people more open-minded? Would you say you always knew you’d live in Spain again? Do you still have that doll? Robin Graham: I’m sceptical about claims that travel automatically makes people more open-minded actually, although I do think it’s great exercise for an already open or opening mind. When you travel you don’t have to look too hard for boorish types who’ve been everywhere and done everything and learned nothing. They commoditise open-mindedness by claiming it as a quality they have that makes them better than you. They often have a good grip of the vocabulary of open-mindedness but they don’t really seem to understand it. No, Spain had receded. It took a visit in my fiancée's company to put it back on my radar, because she fell in love with it independently of my previous experience here, it became a viable option for us. Romantic and not particularly realistic, but viable. IMBO: It’s probably sitting in a charity shop somewhere. What about you, Robin? Where exactly are you sitting right now? Tell us a bit about the place you live. Robin Graham: I'm at the laptop. The back patio is to my right. I've been trying to create a little paradise there for us to use when the warm weather comes. Blooms and greenery and herbs and twinkly little lights. The whole kaboodle. To my left is the front garden where I have been conducting a war of attrition against the neighborhood cats. The battle continues, the outcome unclear, but I will prevail. Our neighborhood is in the newer part of town - it's an ordinary part of an extraordinary place; Tarifa slopes to the Gibraltar Straits at the very southern tip of Spain. We are closer to the African coast than we are to the next town. At each intersection along the main street you can look down the side streets and see the water.And Africa. The Mediterranean meets the Atlantic here, the former hugging the rocky coast between Tarifa and Algeciras to the east while the Atlantic stretches out along Los Lances beach for several kilometres to the west. It's beautiful. IMBO: How has living in this beautiful place affected what, and the way, you write? Robin Graham: Spain has affected my writing primarily in this sense: it has made me write. Both prior to arrival and since I have been writing regularly and that hadn't been the case for a long time. I am someone who while self-identifying as a writer (even if only secretly at times) didn't actually write for many years. I had almost given up on it as I swung from job to job. My love affair with this country cries out for expression, and so I write. New beginnings provide an opportunity to revisit one's "primordial" motivations and new places provide the opportunity to start afresh without self-consciousness. 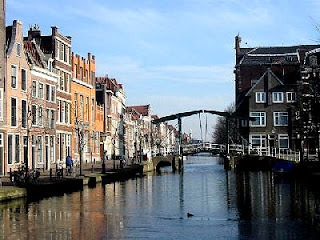 I write a story for the blog each week and regularly contribute to travel websites. I'm also working on some fiction. I think being here has introduced a strong visual, or cinematic, element to what I write as I have been so visually stimulated by this almost ridiculously beautiful country. IMBO: I know what beginning “afresh without self-consciousness” feels like. In many of my Expat Author Interviews, we discuss the relationship between identity and place. Are you still experiencing the fresh start feeling, or has Spain become something else to you? Robin Graham: It’s evolving. The novelty degree fades to an extent but that’s a good thing. Life isn’t all about novelty. To me – and unavoidably I have to say to us – Spain will in one way or another be the testing ground. We came here to chase dreams and we said it out loud. Now we have to do it. We don’t even know exactly what all the dreams look like yet. But one thing we’re sure of – we didn’t come here to devour Spain like some kind of dessert and then move on to the next restaurant. It’s not possible for us to separate the move we made with the commitment we made to live as well as we can, as sincerely as we can. It isn’t geographical. IMBO: You wear several writing hats. Could you share something from your blog that tells us who Robin Graham is and then maybe a travel article that rocks? Robin Graham: Personally I think all of the stories on my blog say something about me, but maybe La Playa is amongst the most biographical. I value economy in writing – I am drawn to the snap shot, the flash of a moment well told. So one of my favourite recent stories was a very short one I did for The Spain Scoop on bar life inCádiz. IMBO: How about something by another expat author? Robin Graham: Sometimes I think all the best writers are expats. Two Irish writers I am in awe of are Joyce and Beckett and neither of them chose to write in Ireland. Laurence Sterne, who wrote The Life and Times of Tristram Shandy, wrote as a clergyman in England after an early life in Ireland. The list goes on. A recent novel I enjoyed was Let It Come Down by Paul Bowles, an American writer and composer who settled in Tangier, just a short ferry hop from us. I found it interesting to read about a naïve American losing control in an alien culture, maybe because we made our move precisely to gain control. I hope we don’t lose it instead! IMBO: I hope not. Robin, it’s been great getting to know you a bit better. As always, I look forward to reading your blog and your travel articles. Robin Graham: Thanks Chris, I appreciate the interest! Visit Robin Graham's blog HERE. Read about Granada's Tapas bars HERE, the top ten bars in Seville HERE, and about the history of Granada HERE. And just out, An Albino Porcupine and a Kinkajou HERE. Great interview with a brilliant writer - one of my absolute favs. Enjoyed learning a bit more about Robin. Robin's writing always inspires me. A brilliant wordsmith. This was a great way to learn more about Robin! Robin is a wonderful writer and photographer. I'm a big fan, so it was great to find out more about his background. I also agree with his comment that traveling doesn't automatically make someone open-minded. I've come across too many world travelers who while professing to embrace other lifestyles and cultures expose some other bias. Loved the interview, Christopher. Loved this interview—Robin's description of where he lives/writes made my mouth water. We've been thinking about that part of the world as a dwelling place for a while now and we're going to visit this year, I hope. Well done! Fascinating! And a pleasant surprise to find another Paul Bowles fan!! Intriguing insights into place as a writing catalyst too - look forward to catching more from the links you've provided! Really enjoyed this interview, thanks Christopher and Robin. Loved this line: "They commoditise open-mindedness by claiming it as a quality they have that makes them better than you." - I see this so much - it fuels my writing. Hi, Rachel! Thank you so much for stopping by and reading this interview with Robin Graham. I hope you're doing well. Great interview, and great choice of judge for your travel writing comp!